Cannot stress enough on the importance of needing protection for your skin, not only your "ahem" but that one another topic la lol. In Malaysia our tropical weather is enough to kill a person if you go out without water for 24 hours, your skin start to wrinkle like a prune, aging process is increased 100%, and even higher risks of getting skin cancer. When it comes to Korean or Japanese skincare products i tend to be a bit bias lol because so far all the products i've been using by these 2 countries have been nothing but great to my skin! I can easily hop from one brand to another without having and skin irritations or other unpleasantries. 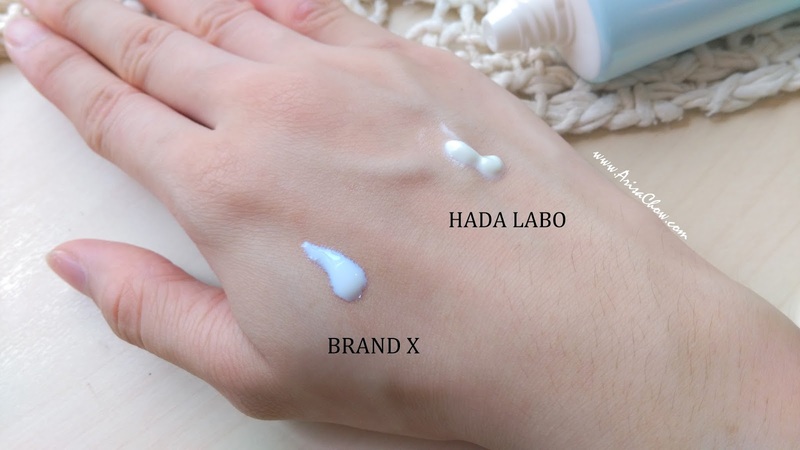 Previously before all the recent skin care reviews the only 2 brands i've been a faithful user is hada labo and Innisfree because of their prove effectiveness and guaranteed non sticky textures. Lol, maybe i should stop doing skincare reviews liao to let my skin rest for the next few months @_@ too much chemicals on my face!! 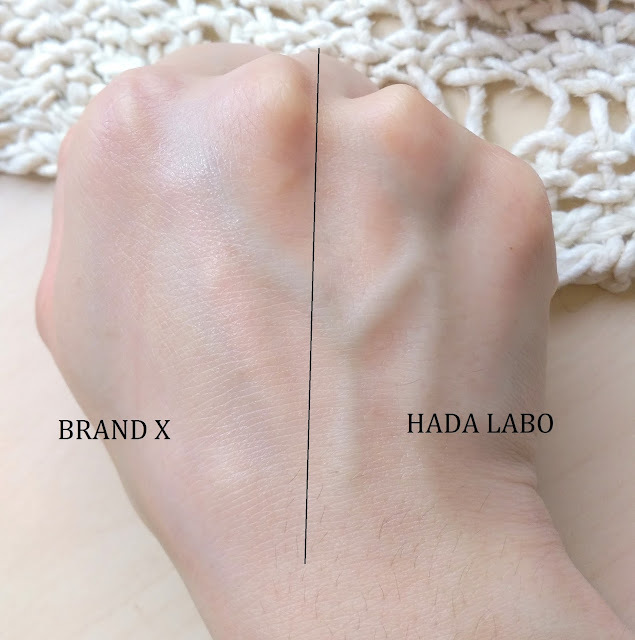 Hada Labo recently launched their new skincare range called the 5-IN-1 Perfect UV range that comes in the form of gel-like texture. Meaning it's even more lightweight and easier to absorbed by the skin without any sticky feeling. Any skin care that is lightweight and non-sticky is instantly welcomed to my skincare collection lol seriously! Because as a person who used to not give a hoot about her skin due to all of those thick and heavy creams back in the early 2000s (gross). Still the same lady on the cover lol. Apparently i just found out their Perfect gel range has 3 types including this, it started off as just a "whitening series" then they introduced the next one which was "hydrating series" and now this a breakthrough combination of both with an extra benefit of UV protection! Been using their 5-in-1 perfect gel moisturizer for about a month + now, every time before applying make up, it's seriously a genius invention for lazy (or let's just say time saving people) that needs a shortcut skincare routine . 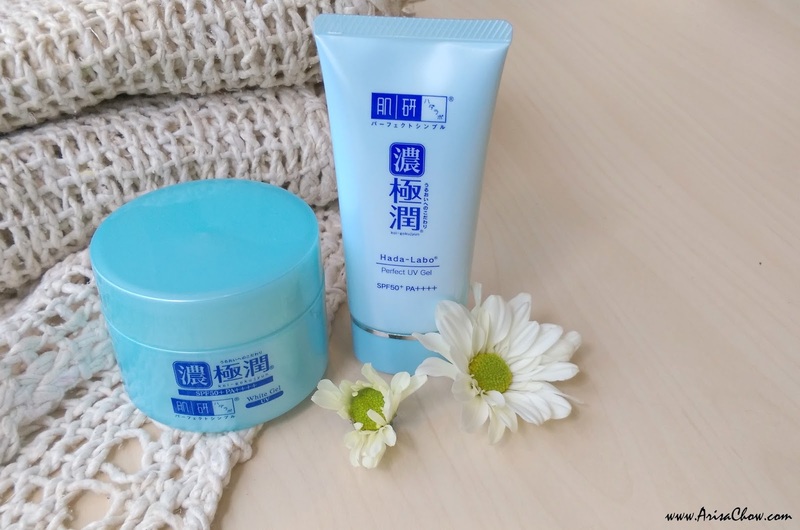 This baby functions as a moisturizer, essence, masks, make up base and primer (5 usage) that comes with sun screen protection of SPF50+ PA+++ which is more than enough for our skin's needs. I actually read somewhere that SPF30+ is more recommended for face and the SPF50+ is for body but oh well, both protects so that doesn't matter lol. What i love most is the silk like texture which they call "gel" which absorbs into the skin effortlessly without any greasiness prepping your skin for a long day. 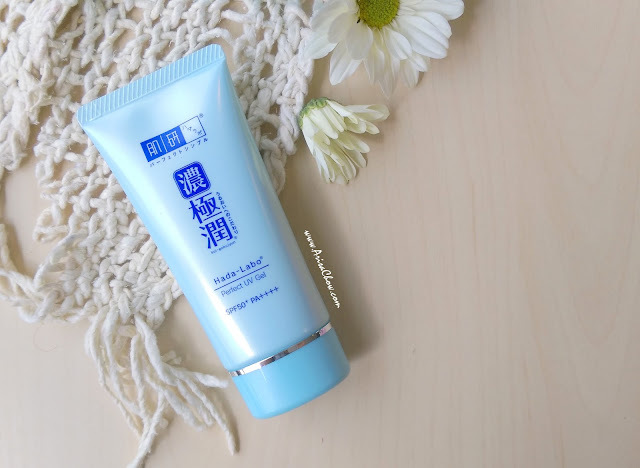 Even when i don't wear make up, i'll use this at home as a wearable "mask" that i need not wash off lol just like the L'Oréal Paris Hydra Fresh night time gel mask i previously blogged about (join my giveaway too!). Since it has hyaluronic acid as one of its ingredients that provides excellent moisture, Hydrolyze Collagen to improve skin elasticity and Ceramide that works as an active ingredient that continuously penetrates moisture into the skin for intense hydration and repairs. It's texture is quite runny, so make sure to open it on a flat surface not tilted to avoid and spillage k? That would be such a waste for something this precious! When they say it works as a make up based i was kinda skeptical as my face tends to be extra oily after a full day of wearing makeup, but it works well only for LIGHT makeup like just CC creams & finishing powder. If you are gonna be using foundation or BB creams, would recommend you to use this and top it off with your usual primer for longer lasting wear. For their 5-in-1 Perfect UV Gel Sunscreen, it does more than just providing your skin with UV protection, apparently it works similar as the perfect white gel above. It function as essence, emulsion, make up base and face primer lol. Though it might sound confusing like exactly which product SHOULD you use since all of them already has a 5-in-1 function but look at it this way- White gel is a moisturizer (with 5 benefits) and sunscreen as a sun block (with 5 benefits), so you can use them either way. Did an experiment on a random sunblock against Hada Labo's gel sunscreen, the usual sunblock will leave a certain shine, oily and sticky feeling right? But with the gel type of sunscreen you'll get a nice light matte feeling without any discomfort, it's seriously almost non existent on your skin once you blend it in. Take note that this experiment was conducted with the latest type of sunblock cream which is considered a much better formulated and more lightweight compared to our traditional old sunblocks. Suitable for all skin types, it not only protects your skin but hydrates it at the same time and this sunscreen is free from any colorant, fragrance, mineral oil and animal derivatives. 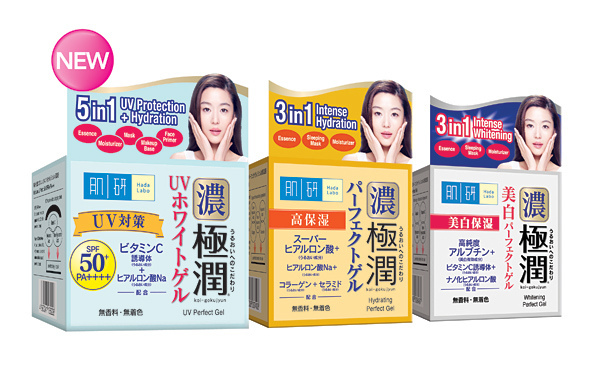 Hada Labo 5-in-1 Perfect UV Gel range is available at all leading pharmacies nationwide like Guardian and watsons. Price for these 2 products are RM94.90 (80g jar) and RM52.90 (50g sunscreen). Hi i need of an opinion here. so if use the sunscreen one (in the tube) i can just skip using a moisturizer right? I am so going to the store for this gel after work..
Hi. I have oily skin type, is this product suitable for oily skin type?